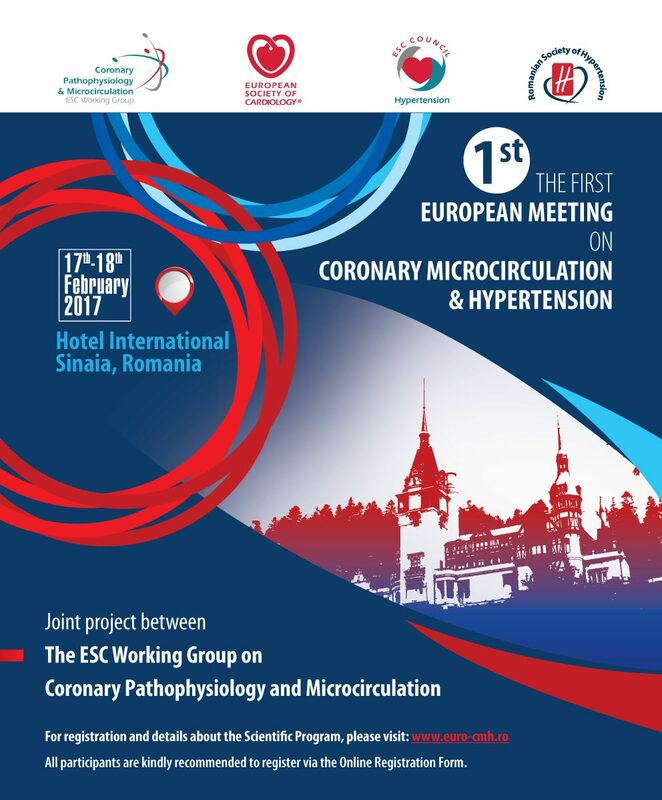 The First European Meeting on Coronary Microcirculation & Hypertension, to be held on February 17-18th, 2017, in Sinaia, Romania that will gather high-level experts is a joint project between the ESC Working Group on Coronary Pathophysiology and Microcirculation, the ESC Council on Hypertension and The Romanian Society of Hypertension. Our goal is to promote an expert roundtable on coronary microcirculation and hypertension. The meeting will help us obtain a comprehensive view of the field by including researchers, clinicians, and specialists in the discussion. With the beautiful city of Sinaia as its setting, The First European Meeting on Coronary Microcirculation & Hypertension will provide an outstanding combination of educational, social and recreational opportunities.